Thunderbirds Movie (2004) | THUNDERBIRDS ARE GO! Thunderbirds is an action-adventure film released in 2004. This science fiction British film is based on the Thunderbirds TV series in the 1960s. The film stars Bill Paxton, Anthony Edwards, Sophia Myles, and Ben Kingsley and is directed by Jonathan Frakes. 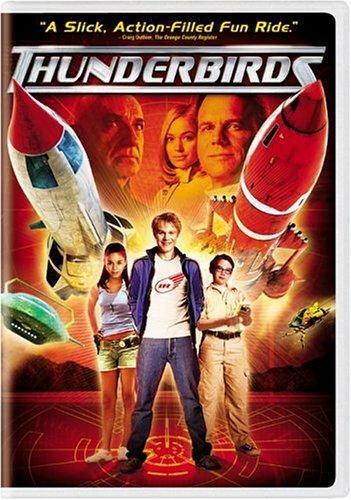 Thunderbirds had a July 24, 2004 release in the United Kingdom whereas it was released last July 30, 2004 in the United States. The DVD and VHS were released on December 21, 2004. 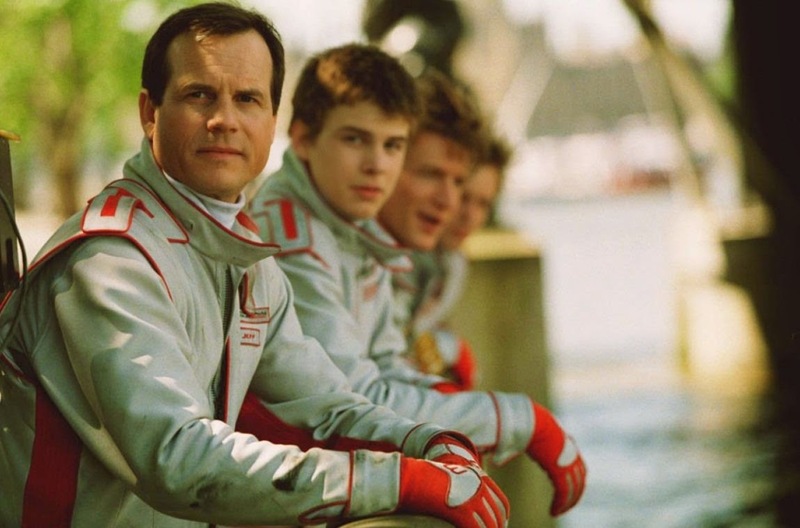 This sci-fi film is set in the year 2010 where Jeff Tracy (Bill Paxton), a former astronaut and widower, sets off to form a secret organization called International Rescue to help saves lives around the world using machines called Thunderbirds. Together with Jeff in saving lives are his sons Virgil, Scott, John, and Gordon and Lady Penelope (Sophia Myles) and Parker (Ron Cook). The youngest Tracy, Alan (Brady Corbet), who is currently enrolled in a boarding school, dreams of joining the family too as a Thunderbird Pilot. Trouble comes in the form of The Hood (Ben Kingsley), a criminal with psychic abilities who holds a grudge against Jeff Tracy in the past. While the Tracy family is busy manning International Rescue, Alan Tracy, the youngest son of Jeff, is in the mainland at a boarding school, dreaming of the day when he’ll eventually join his father and brothers as Thunderbird Pilot. One time, Alan and his friend Fermat noticed a weird complex in Thunderbird 1’s hull. Unbeknownst to them, it was a tracking beacon placed there by The Hood. The following day, The Hood finally locates Tracy Island and releases a missile targeting Thunderbird 5. The Tracys respond to the call for distress, only for the Hood and his minions, Transom and Mullion, to take over the command center and trapping the entire family in Thunderbird 5. Alan, Fermat, and Tin-Tin, Kyrano’s daughter were able to escape capture by way of a ventilation shaft. All three fled into the jungle and tries to find the remote transmitter. While Alan was adamant in confronting the Hood, Jeff advice him to wait for Lady Penelope. They try to escape from Mullion, but Tin-Tin and Fermat are captured. Lady Penelope together with Parker arrives and tries to rescue them only to be defeated by The Hood. Alan tries to help only to be captured and imprisoned in a walk-in freezer together with the others. The Hood proceeds to rob the Bank of England, while Alan and the rest successfully escapes. They contact the rest of the Tracys who were able to regain command of Thunderbird 5. Alan, Jeff and Lady Penelope try to apprehend The Hood, only for the latter to lock them up in the vault, leaving only Alan to defeat him. Tin-Tin helps Alan defeat The Hood, and he and the rest of his minions are captured. Once the furor died down, Alan, Tin-Tin and Fermat are then officially inducted as members of International Rescue. Although the film was a highly anticipated one, it barely raked in the box office. In fact, in August 2004, the film only earned $28,000,000, not breaking even with the production costs that totaled up to $57,000,000. Both critics and the TV series following were quite disappointed as well and gave negative reviews. Review giving bodies as Metacritic, Rotten Tomatoes, etc. also gave the film very low ratings and even went on to say that the movie is a ‘live action cartoon for kids’. Thunderbirds Take 2: How About a Casino Slot? 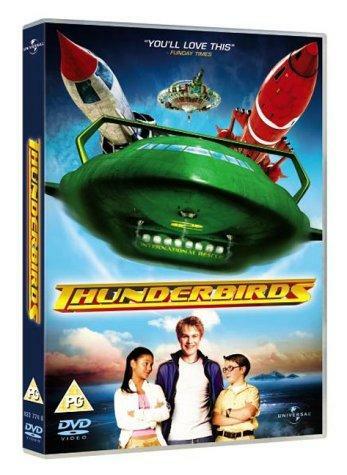 Thunderbirds movie, based on the popular 1960s TV show, was released in 2004. It was one of those titles that were long anticipated and people were excited to see. However, the movie ended up as somewhat of a disappointment, not reaching nearly the kind of success that was expected of it. The movie experienced the unfortunate fate of many remakes, especially those created several decades after the original they are based on. Whether the original story of International Rescue simply wasn’t as appealing or the old fans of the show had expectations for the movie that was completely different to the producers’ vision remains unclear. Whatever the case, 2004 Thunderbirds movie couldn’t really be called a success. New Way to Revive Thunderbirds? Although someone might be bold enough to try and make another Thunderbirds movie in the future, that doesn’t seem very likely. At the same time, it is pity for the show to be lost in time, especially given its popularity back in the day. Instead of looking into TV and cinema, however, there might be an entirely different way to bring back Thunderbirds – the one that seems to have worked wonders for other popular titles from the past such as Highlander, Jurassic Park, or Terminator II. The original story offers so much for game creators to work with and create not just interesting graphics but also engaging gameplay with plenty of exciting bonus features. We’re talking about powerful flying machines, missiles, and saving lives. If this doesn’t have makings of an entertaining casino game, I don’t know what does. On top of it all, with little luck, the game would be made available at one or two casinos offering no deposit slots where you keep your winnings. This isn’t at all that uncommon for new games and it would be a great way to reintroduce people to Thunderbirds. With the mix of exciting gaming action and the ability to win some actual money completely risk-free, there is basically no chance that a potential Thunderbirds slot wouldn’t be a success.